finally, the moment came. I pulled out a Peruvian blanket and lay it on the backyard grass. Layla and I lay down. Our faces met with the sky. It was an almost blinding blue and white for a second. Then our eyes focused. We watched the clouds float by. We wondered where they were going. India, maybe? We closed our eyes in silence. We relayed all the sounds that came to our ears. Cars. Birds. The wind in the trees. The low hum of the a/c unit. We talked about our day. It had been a typical start to a weekend morning. Sajan and I drank chaya and ate some eggs. 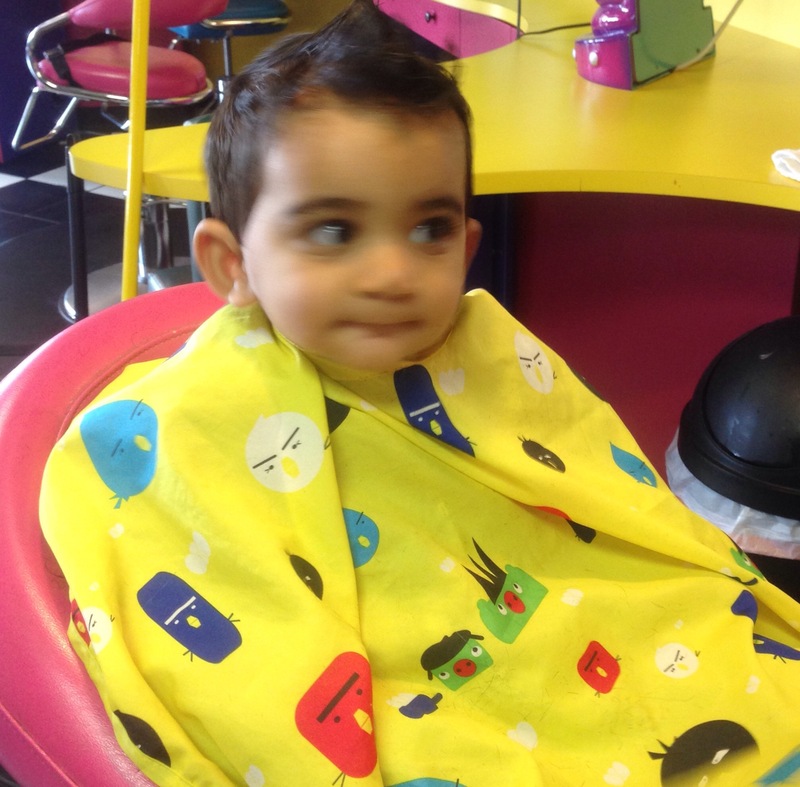 Then we took the kids for haircuts. It was Ezra’s first. 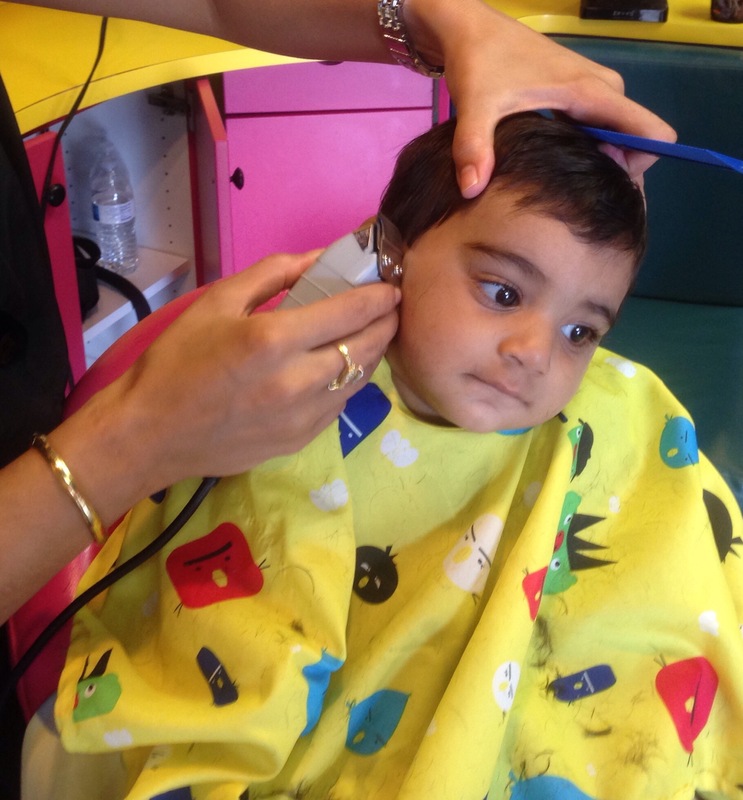 He was so curious about everything, listening to the scissors clip-clipping and the clipper buzz-buzzing as he sat in his chair. 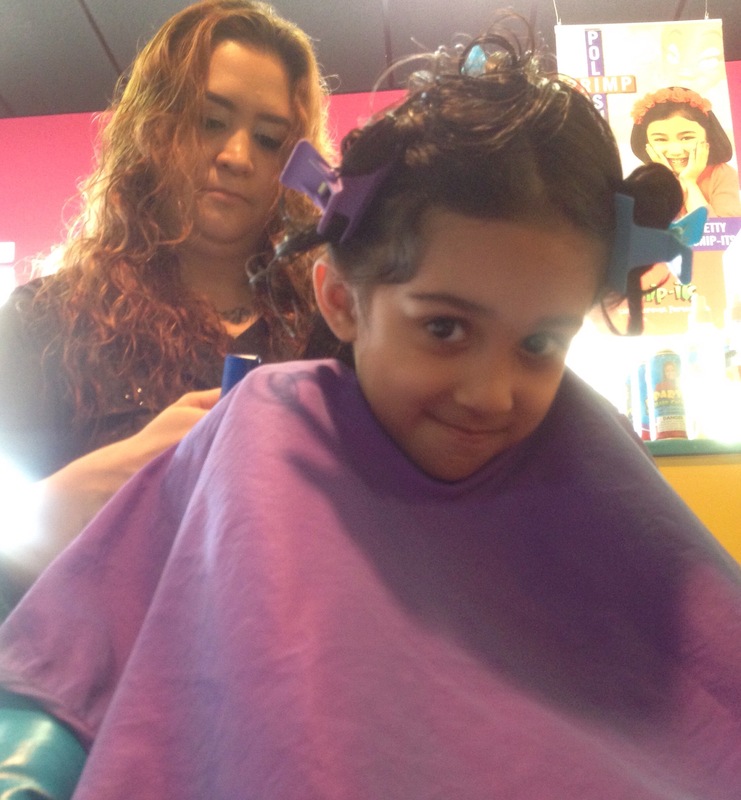 Layla loved the glitter finish they sprayed on her hair after her trim. For amusement we walked through Whole Foods next door. It was too cold for Layla, so we didn’t stay too long. I remember the discomfort of grocery store cooler/frozen sections as a kid. The morning was young. We headed to the farmers market. I splurged on natural soap and cashew milk. I think our favorite part is talking to the vendors and gleaning golden nuggets about running their business. Later we went to Blesson and Jolly’s house for gumbo. Their interior decorating is great! And their gumbo is just as good. They are masters of making a salad even salad haters can devour to the last bite. After lunch and conversation, the kids fell asleep in the car. And later Layla and I were out in that blanket. The air was fresh, the sky serene. This entry was posted in Being a parent, Brilliant Ideas, Doing, The Marriage Chronicles, Uncategorized. Bookmark the permalink.